My name is Amber. I am a few days shy of my 30th birthday and I was obese (and still am). This isn’t a story of success…but a story of a continuous journey. I haven’t lost 100 pounds, I haven’t lost half of me, but I have lost 30 pounds and have literally saved my own life. So who am I and how did this get started? Everyone has their “ah-ha” moment. Mine came last November after my brother opened up a High Intensity gym in Tulsa. I had always made fun of my brother and his “fitness crew” for posting gym posts on Social Media and how regimented they were to staying healthy. It wasn’t my thing and never had been. One day I was walking up the stairs at work and I realized I was getting winded after one floor and my knees were killing me. At 29, I knew I had to make a change. I knew I had a brother who would help me. 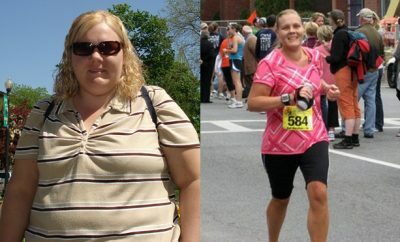 I knew that I could die…so I decided to start my journey of 30 pounds by my 30th birthday. This was the beginning of my journey…but the real reason I started to work out is because of my health. Let me tell you the back story in order to move forward in my story. Growing up I played soccer. I was very active. I was also the “chubby” kid. I had a mother who tried every diet in the book. Cabbage diet, Mayo Clinic Diet, Weight Watchers, and everything in between. I saw her diet so I dieted. This, in hindsight, probably wasn’t good for me…but I was 12-16…what did I know? My senior year of high school I gained approximately 100 pounds and couldn’t figure out why. I assumed it was my diet or hormones but thought it would go away. Flash forward to freshman year of college. I was extremely ill and found out that my kidney was the size of a watermelon…it weighed over 30 pounds. This, was not a good sign, and also explained so much of my weight gain. My kidney was removed in December of 2002 and here I sat for 12 years neglecting my lack of kidney. 12 years neglecting my high blood pressure. 12 years of partying thinking I was invincible. 12 years and 40 pounds later…I sat looking at myself at 250 pounds and the super tall height of 4’11. On January 6 of 2014 I decided to truly accept my weight and accept that I needed to change. I started working out and committed to losing 30 pounds by May 29th (my 30th birthday). I knew that I had an uphill battle. I only have one kidney, I have PCOS, and I don’t have a gall bladder. I am on a multitude of medications. I was SEVERLY out of shape. I had dieted my whole life but this time I WANTED it. I NEEDED it. I wanted to be the inspiration instead of sitting around waiting for an inspiration to come. I had a brother who is a personal trainer. I have a family owned gym that I could work out in…I literally had NOTHING holding me back except myself. So…I went for it. Since January 6, I have been in the gym no less than 3 days a week (mostly going 5-6). I started out doing Weight Watchers (which worked great) but decided to do a higher protein lower carb option to match my high intensity training. Why was I chosen to be an inspiration? I had a friend tell me, “Amber, it’s because you are real and REALLY doing it”. My brother and god-sister have been fully supportive and encouraged me to blog about my journey. Honestly, I never thought I would have the following that I do and the people who have said how much I have inspired them. Two weeks ago (two weeks before my 30th birthday) I hit my 30 pound goal. I went from 250 to 220, I have gone down 2 sizes, and have lost over 15 inches. I still don’t consider myself a success story. I consider myself a work in progress. What I do want to do is encourage other people that they have an athlete in them. Five months ago I couldn’t lift a 30 pound bar. Now I am listing 65 pounds, squatting 155 pounds, and deadlifting 190 pounds. I am doing 16” box jumps and am running 5Ks. My boyfriend jokes that I have become the “fitness girl” who I used to make fun of. I am proud of my ability to run and to lift. I am still the “fat girl” I still have fat that jiggles when I run. I am also a fit girl who can do things I never thought I could. I want others to know that if you set a goal it is totally doable, no matter how many obstacles stand in your way. I am 30, I am down 30 pounds, and I have normal blood pressure. I am a work in progress and love myself and every minute of my journey. I really hope others can see how amazing they really can be if they just set their mind to do it. No magic pill will help you…only you can help yourself and the rewards are so much more than you can ever imagine. I saved my life and am so proud of what I have accomplished. 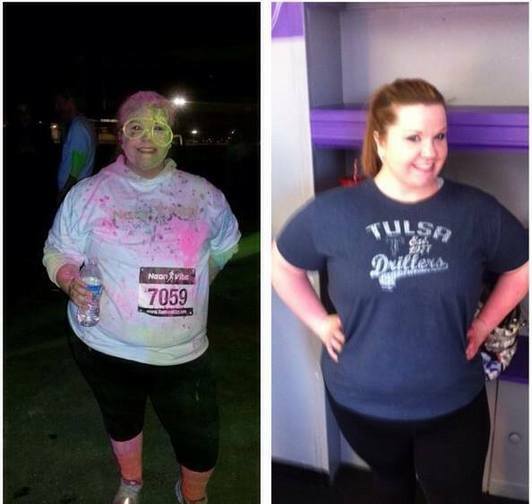 Real Weight Loss Success Stories: Amanda Starts A New Life After Losing 107 Pounds!